We offer Direct or Remote connection for Electrogrip high voltage ElectroStatic Chuck (ESC) power supplies, as shown below. Our ESC power supplies drive ESC electrodes to firmly hold delicate semiconductor wafers and other micropatterned substrates during processing. These ESC power supplies provide tightly controlled waveforms to yield a reliable initial grip, then a secure hold during processing, followed by a reliable adaptive release to assure clean handoff to robot end effectors. 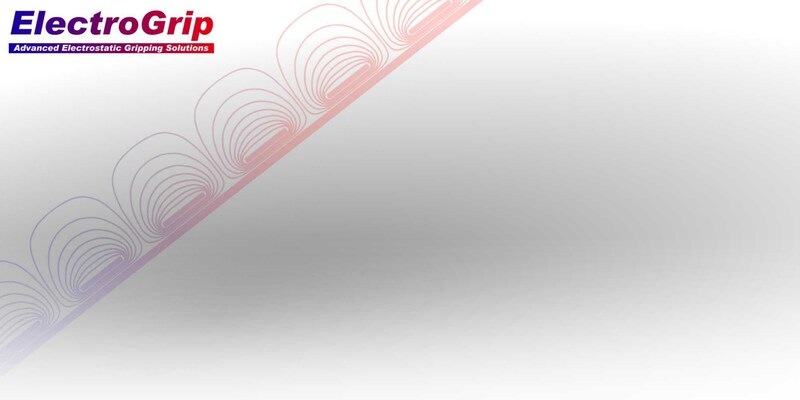 Direct Connection requires high voltage interconnection cables, and BD3 rf filtering to isolate the DR4 high voltage power supply from high voltage rf plasma power. 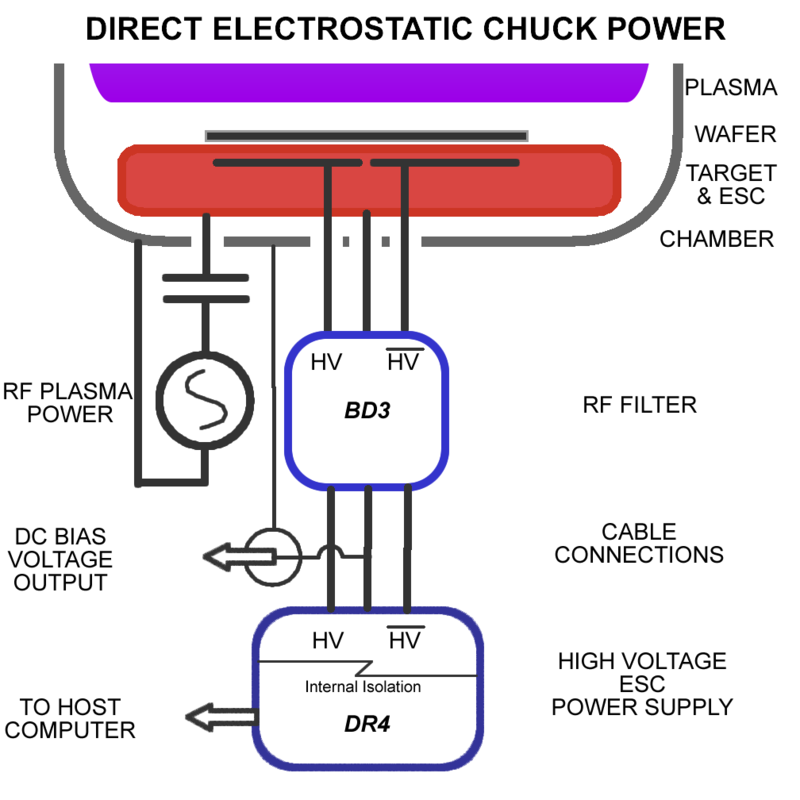 The BD3 is available to filter up to two rf frequencies, permitting use of different-frequency rf power supplies for top ICP/Triode plasma, and target bias plasma. 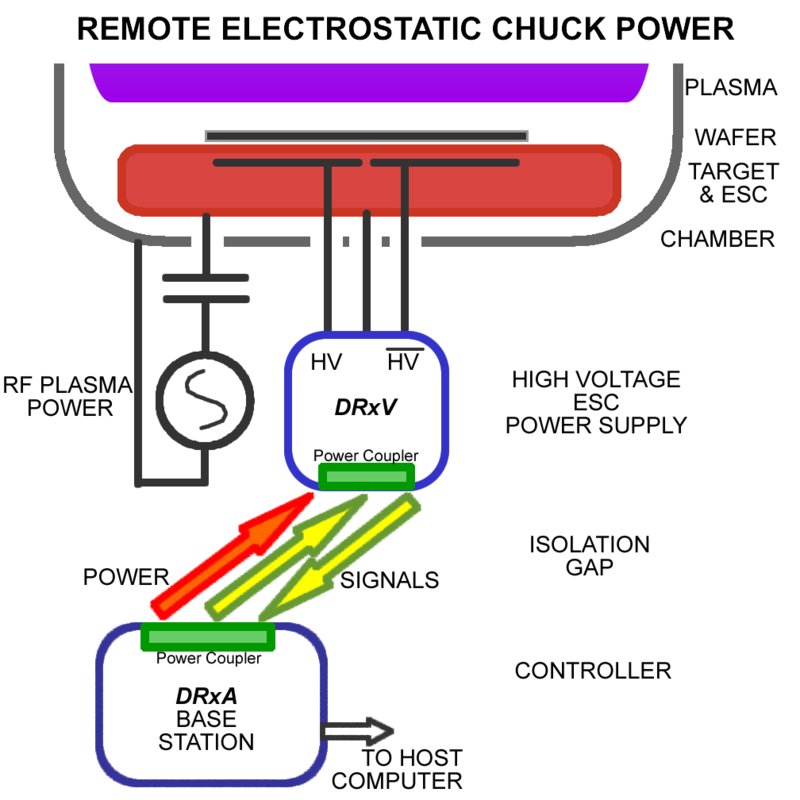 The Remote connection method, used in the Electrogrip DR5, DR6 and DR7 series, is shown below, again for an rf plasma. Remote connection offers tolerance of a wide range of rf frequencies without special filters being required. Remote connection isolates the ESC and its high voltage power supply at elevated or pulsing e-beam or ion implant potentials. The 'x' in the above figure can be 5, 6, or 7 for the Electrogrip power supply series. ... for upgraded grip and release performance. Our legacy DR4 (requiring a BD3 for rf filtering) is still supported. It has economically delivered reliable high voltage drive for >20 years. ... for maximum performance and minimum downtime.